For students in my Wednesday night class on Unsolved Mysteries of the Bible: The study guide for Lesson 6 – Where Did Melchizedek Come From? is now available online. Lord willing, we will begin covering this tomorrow night at 6:30pm at Bellevue Church of Christ! For students in my Wednesday night class on Unsolved Mysteries of the Bible: The study guide for Lesson 5 – Where is the Garden of Eden? is now available online. Lord willing, we will begin covering this tonight at 6:30pm at Bellevue Church of Christ! Unsolved Mysteries – Lesson 2: What Time of Year Was Jesus Born? For students in my Wednesday night class on Unsolved Mysteries of the Bible: The study guide for Lesson 2 – What Time of Year Was Jesus Born? is now available online. Lord willing, we will begin covering this tomorrow night at 6:30pm at Bellevue Church of Christ! Unsolved Mysteries – Lesson 1: Who Was the Pharaoh of the Exodus? For students in my Wednesday night class on Unsolved Mysteries of the Bible: The study guide for Lesson 1- Who Was the Pharaoh of the Exodus? is now available online. Lord willing, we will begin covering this tomorrow night at 6:30pm at Bellevue Church of Christ! For students in my Wednesday night class on The Life of Joseph: The study guide for Lesson 10 – Joseph the Savior (Genesis 37 to 50) is now available online. Lord willing, we will begin covering this tonight at 6:30pm at Bellevue Church of Christ! 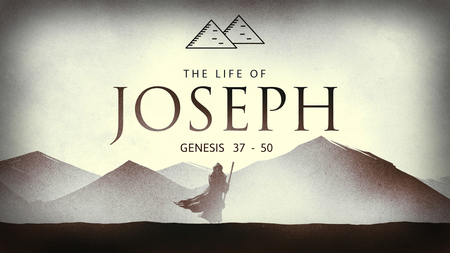 For students in my Wednesday night class on The Life of Joseph: The study guide for Lesson 9 – Joseph the Saint (Genesis 50:1-26) is now available online. Lord willing, we will begin covering this tonight at 6:30pm at Bellevue Church of Christ! For students in my Wednesday night class on The Life of Joseph: The study guide for Lesson 8 (Part 2) – Joseph the Superior (Genesis 49:1-33) is now available online. Lord willing, we will begin covering this tonight at 6:30pm at Bellevue Church of Christ! For students in my Wednesday night class on The Life of Joseph: The study guide for Lesson 8 (Part 1) – Joseph the Superior (Genesis 47:29-48:22) is now available online. Lord willing, we will begin covering this tonight at 6:30pm at Bellevue Church of Christ! For students in my Wednesday night class on The Life of Joseph: The study guide for Lesson 7 – Joseph the Shepherd (Genesis 45:9-47:12) is now available online. Lord willing, we will begin covering this tonight at 6:30pm at Bellevue Church of Christ!